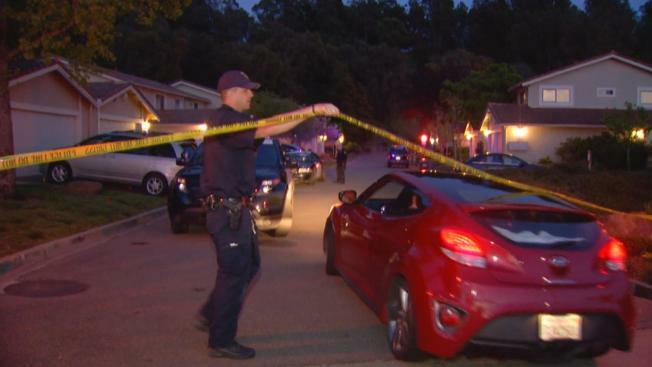 A 30-year-old Oakland man was shot while standing in his kitchen Wednesday evening, according to Oakland police. Just before 6 p.m., a burglar entered a home on Chimney Rock, near Elysian Fields Drive, in the Oakland hills. The victim reportedly was wearing headphones and did not hear the burglar inside the home. He was shot in the chest, according to his aunt. "He was able to call police and say he was shot," Michelle Brown said. "They broke into his bedroom window; that's how they got in." Brown doesn't know why the burglar shot her nephew. But she knows her nephew's house wasn't the only one on Chimney Rock that was burglarized. "They went to a house and took a soda and another and took a sandwich," she said. "Left them there, left evidence." Neighbors say the suspect got into at least two other homes on Chimney Rock. John Adam said his wife was home when the thief came in an open door. "Heard dogs, she ignored the dogs," Adam said. "Guy came in the back door, went out the front. He looked around, went into her purse, took two 20s left two 1s." Oakland police searched the area but did not locate a suspect. The victim is recovering at Highland Hospital in Oakland. People in the neighborhood were rattled Wednesday night but relieved their neighbor is expected to be OK.